Recent 360 Director of Photography work with the great team at National Geographic, Directors E. Chai Vasarhelyi and Jimmy Chin and Framestore. This short film debuted at the 2018 Los Angeles Film Festival and is part of the critically acclaimed feature documentary Free Solo, which captures the experience of free soloist climber Alex Honnold as he prepares to achieve his lifelong dream: climbing the face of the world’s most famous rock, the 3,200-foot El Capitan in Yosemite National Park…without a rope. The climb was completed without any safety equipment, and required years of training, planning and unwavering endurance — both physical and mental. For the feature documentary Chin spent nearly three years climbing the route with Honnold; to prepare for the 360° film Chin and Director of Photography Justin Bastien worked several days on El Cap (with proper safety measures), placing cameras in the right locations and anchoring tripods up to 3,000 feet above the valley floor on the sheer granite wall. Despite the unique challenges this project faced, the climb proved to be a natural fit for a 360° storytelling approach. 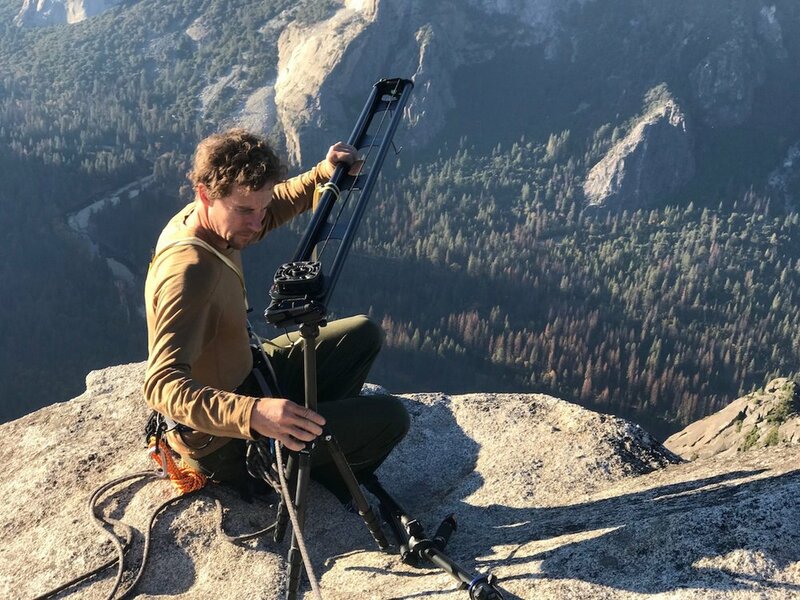 360 Director of Photography Justin Bastien worked with Jimmy, Alex, Mikey Schaffer and the rest of the team climbing El Capitan for several days hanging from the side of the wall on ropes, rigging cameras and selecting the best angles to capture the wild action and big exposure below. Each day Justin would return to the ground and review the footage with Aron Hjartarson, executive creative director at Framestore, who was overseeing the development of the 360° film. The main challenge for this project was for Justin and the team to figure out a way to tell a “narrative” 360 story which has rarely been done before in this new medium. Generally, 360 or Virtual Reality films are a single take in a single environment. In traditional, 2D films, there is an established format and way of doing things in regard to camera movement, cutting from one scene to the next. In a full 360 environment it’s completely different, the camera placement is critical to the viewers perspective, the camera movement must be minimal in the direction of view and where you enter and exit each scene with a focal point of interest is very important. All of these techniques had to be figured out on the fly, 3,2000 off the ground with Justin operating on his own suspended from the side of a cliff. As you can imagine, this was quite an undertaking and Justin and the team had to be very careful not to disrupt a hopeless Alex on the wall. The final outcome is a short interactive 360 film that really gives you the sense of what it is like to be next to Alex as he completes one of the most incredible athletic feats of all time. No one, but this great team that Jimmy put together could have pulled of a project as incredible as this 3,200’ off the ground. View in your desktop web browser or on your mobile or tablet device using the YouTube App. For the best immersive experience watch the 360 film using a VR headset. Enjoy! 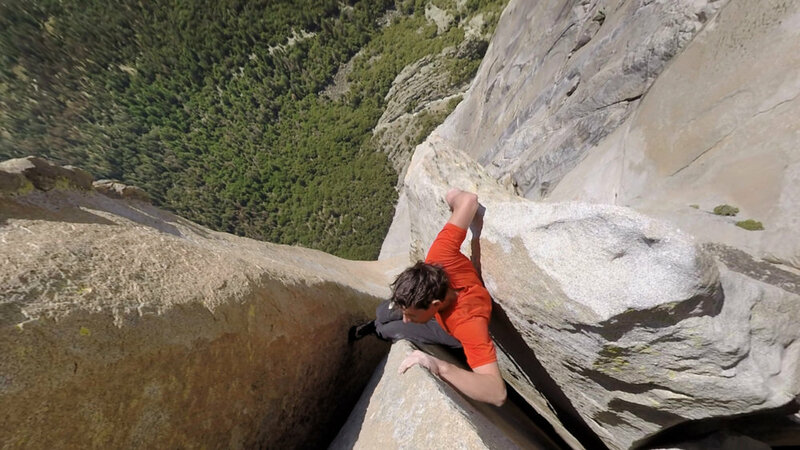 View the Free Solo 360 Film here. View the film in a theater near you.